Join us at this vibrant but cosy venue to enjoy time with friends and like-minded people! The eye-catching décor of this simply elegant lounge makes for a great location to meet fellow expats and make some new global-minded friends. 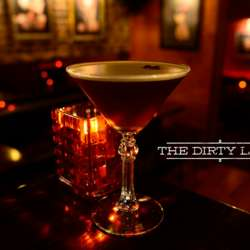 The Dirty Land is a contemporary cocktail and wine bar located in the CBD which has a slight edge to it.